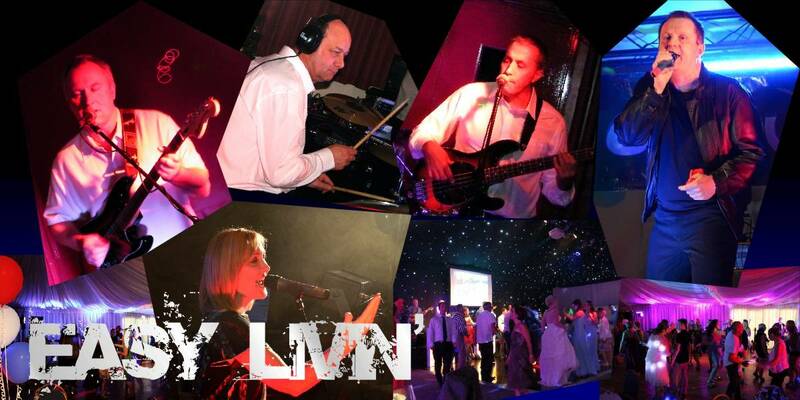 Easy Livin' are one of the regions most popular party bands - based in Cambridge, performing all around East Anglia, including Cambridgeshire, Suffolk, Norfolk, Northamptonshire, Essex, Bedfordshire and Hertfordshire. Are you looking for a premier party band in Cambridge, Ely, Huntingdon, Peterborough, Newmarket, Bury St Edmunds, Ipswich, Norwich, Northampton, Kettering, Corby, Haverhill, Saffron Walden, Bedford or Royston? - then look no further than Easy Livin'. Click here to keep up with the latest news about us on Facebook. Click here to see live videos of the band on YouTube.